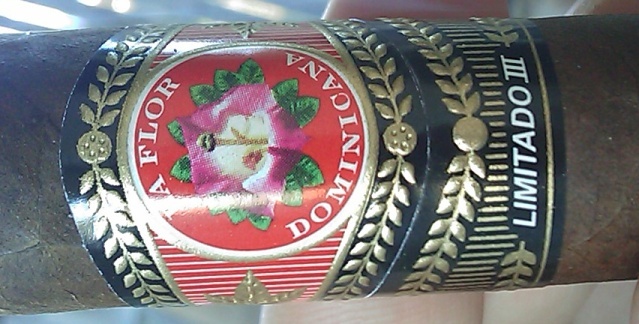 Today we have the LFD La Flor Dominicana Limitado III cigar from Litto Gomez. What a beautiful piece of art of this cigar is. At the moment you remove it from the cellophane to the instant you light it, it is eveident you are in for a treat. I have been a big fan of LFD La Flor Dominicana from back in the early 90’s boom days when they were first hitting store shelves. The blends were fantastic and I would have to say they haven’t changed much. This limited edition beauty has had only 2,000 boxes produced and is said by some to be the best blend out at the current time. All of the tobacco is also grown on Litto’s personal farm. There were some visiable veins of this cigar which I thought to be out of sync with the price range. None of the veins affected the burn however and that is the most important part. I used a punch on this cigar and it gave me a very nice draw. Ample amounts of smoke came from this cigar as well as lots of leather and nuances of spice. I was also getting wood, and coffee flavors toward the last 3rd. and the Tatuaje Havana VI Artistas Torpedo. This entry was posted in La Flor Dominicana and tagged dominican republic, Don Pepin, gomez, La Flor Dominicana, LFD, sumatra, Tatuaje, tinderbox cigars. Bookmark the permalink.